This is the third and final entry in this late spring/early summer set of blogs about aquaculture. If you are just tuning in, the first post detailed the general history of fin fish aquaculture and the second looked at the development of feeding methods for that industry as it industrialized in the late 19th and early 20th century. Today, aquaculture is an international industry, with epicenters in Asia (Japan, Korea, Taiwan, and China) producing carp, catfish, tilapia, and shrimp, Norway producing salmon (39% of the world's salmon) and trout, Chile producing trout, salmon (38% of the world's salmon), turbot, and an array of shellfish, India producing mostly carp, tilapia, and shrimp, and the US with catfish, trout, and tilapia. There are, of course, other countries that do a lot of aquaculture and it is a quickly growing industry. In addition to aquaculture to produce food stuffs, there is a growing ornamental fish industry. For instance, India's ornamental fish industry has taken off in the last few years; in Jalukbari, Assam, India, the local government and university biologists are outfitting and training traditional aquaculturists in ornamental fish production. In Chennai, Tamil Nadu Fisheries University (TNFU) is also dedicating a facility to training students in aquaculture of aquarium species. Of course, this industry is not cornered by India: Taiwan also has a burgeoning ornamental fish industry. The growth of aquaculture internationally has strengthened global trade in fish and fish meal. For instance, the US is the sixth largest exporter of fish globally, sending most of these exports to the Chinese markets. However, the US also imports about 90% of its fish from international sources, mostly from China. This type of exchange is not uncommon, but it has several implications, especially where fishmeal is concerned. Remember that fishmeal (and fish oil) is (currently) required to feed farm raised fishes. So as aquaculture grows, the requirement for fishmeal also grows. Most fishmeal is made from groundfish, by-catch, and smaller species such as herring, whitefish, and anchovies. As larger apex pelagic predatory species such as salmon and tuna disappear from overfishing, necessitating the rise in farming of these species, smaller pelagic and groundfish species make up most of the fisheries around the world (this is called "fishing down, farming up"). But instead of feeding these edible and very nutritious fishes to nearby populations, they are turned into fishmeal for export to the aquaculture industry. For instance, to produce one pound of farmed salmon requires the fish oil of roughly 5 smaller fishes and the fish meal of 1.3 other fishes. While the industry generally comes out even because most other fish don't require that much oil (so the additional 3.7 fish used for fish meal can be fed, without their oil, to shrimp or trout), the demand for salmon is on the rise globally. In addition, salmon is a fish primarily destined for richer markets but feedfishes generally come from poorer countries. Take a look at this graph from Deutsch et al on the globalization of the aquaculture industry. As you can see, salmon aquaculture has increased in Norway over the last 25 years, as has the importation of fishmeal. However, exports have actually fallen and the consumption of salmon in the country has risen rapidly. Chile and Peru are the two largest countries specializing in fishmeal production. In fact, these fisheries provide most of the fishmeal to the world. This year has seen extremes in Peru's fishmeal production- El Nino impacts the fish runs off the coast and Peru saw record high catches in the South and record low catches in the North. The overall export value of fish products from South America in 2008 was valued at 10.8 billion but the imports were only valued at 2.0 billion (USD). Most of the imports were intraregional, meaning that Norway isn't sending salmon back. What this means is that South America, and specifically Peru and Chile, are exporting their natural resources to Europe and the US. While it is true that there is monetary recompense to these industries, it isn't clear how this trickles down to those individuals who would traditionally eat the fishes being turned into meal. This issue is one of the denuding of natural biodiversity and resources in developing nations to feed wealthy consumers Europe, North America, and Asia. For instance, within the next few years, it is estimated that India's aquaculture industry will consume almost 7 million pounds of fishmeal a year. While some fish, such as tilapia, are said to be able to survive and thrive on plant based diet, if producers want to trade globally then they require fishmeal to grow bigger, meatier fishes. In addition, the ornamental fish industry is also a consumer of fishmeal and that industry is already feeling pinched because of the price and availability of quality fish food. Many in the aquaculture industry have been working to develop reliable feeds that are primarily plant based, but the ultimate outcome is generally a smaller fish without the same nutritional content that has been touted in Cosmopolitan and health books for the last decades. Would farmed salmon be in demand without the high amount of Omega fatty acids currently present? Those acids come from their consumption of smaller fishes in the food chain. Can salmon survive on a plant based diet? certainly. Are they the salmon demanded by wealthy consumers? no. Major fishfeed producers suggest that fishfeed prices and production will plateau soon and then start to fall. One reason is that stocks of feed fishes are being depleted as quickly as the feed they are going to feed. In fact, many stocks are already in decline although feed fish are usually smaller, meaning that they reach maturity more quickly than apex predators and reproduce more rapidly. But these evolutionary advantages don't mean that they cannot be overfished and with fewer and fewer apex predators in the sea, everyone is out for the little guy. The development of alternative food sources will also lead to a smaller fishmeal industry. Until this occurs, fishmeal will continue to be an extremely profitable industry. Somalia has recently announced the building of a fishmeal factory and fishing fleet to compete for fish in their international waters. Until very recently, most of the fishing in Somali waters has been done by illegal Chinese fleets. 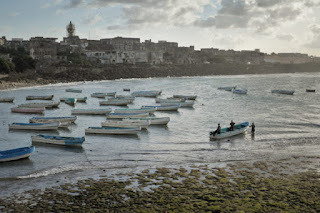 The concern is that it would be useful for Somalia to just build a fishing fleet to utilize those stocks to feed a famine-wracked nation; instead, European companies are only willing to sponsor these fleets to collect fish for meal to be exported for aquaculture that will eventually lead to a healthier European population and a still-starving, not necessarily wealthier Somali fishing fleet. Somali fisherman are being trained in new methods to bring in pelagic species for processing into fishmeal. In addition to the concerns about the depletion of needed resources in developing nations to those more developed, another concern raised by Deutsch et al is the dependence of major aquaculture industries on fishmeal from only a few sources. For instance, the effects of El Nino on Peruvian fishmeal production directly impacted the price of Norwegian, Scottish, and Canadian salmon because of their dependence on that fishmeal. This depended can lead to international impacts from local weather conditions. One bright light regarding fishmeal production seems to be that many of the countries increasing their aquaculture of export species have also increased their aquaculture of fishmeal species. For instance, China's import of fishmeal is starting to level off a bit as the aquaculture industry matures in that nation. Trade between the industry, with fin fish eating the fishmeal produced from shrimp byproduct and vice versa, could decrease the reliance on fishmeal. The verdict is still out if aquaculture relieves pressure on wild stocks- in fact, there is some reason to think that aquaculture might be masking the problem of overfishing for most consumers by maintaining the low cost of highly valuable species. In another twist, aquaculture can impinge on the habitat of native stocks, effectively destroying that habitat. What we do know is that aquaculture will not solve the problem of fisheries depletion as long as it relies heavily on such large quantities of wild fish stocks for feed. And global aquaculture won't solve the world's hunger problems if it continually takes food from poor regions and funnels it into wealthier regions via the network of fishmeal production and consumption. Stop eating so much salmon (or any fish you recognize by name on a menu). It's not the only nutritious fish. Your baby's brain will be fine without so many fish oil supplements. If you have a generally healthy diet, stop placing so much pressure on the global environment by eating endangered fish. Eat local fish; in fact, find out what the best local fish is to eat and support local industry by purchasing fish from them (you can find out about local stocks by going to your fish and wildlife page). Your food choices have impacts. Think about them. if you want more just look here "Live coral"